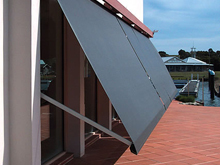 As part of the iShade range we have the Sunflex drop arm awnings at Goldfields Screen and Blinds in Maryborough. 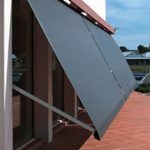 If you need a retractable drop arm awning that offers heat, glare and UV protection that is perfectly suited to verandahs, upper floor windows and courtyards the Sunflex awning is for you. 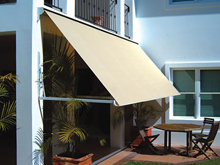 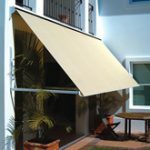 With simple operation and sleek design it’s robust, spring-loaded arms also stabilise the awning against strong winds. 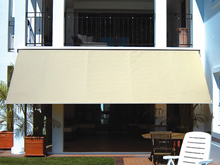 Come and compare the ishade Sunflex drop arm awning with our other awnings in our range. 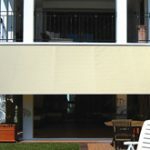 We are happy to explain and demonstrate the features.